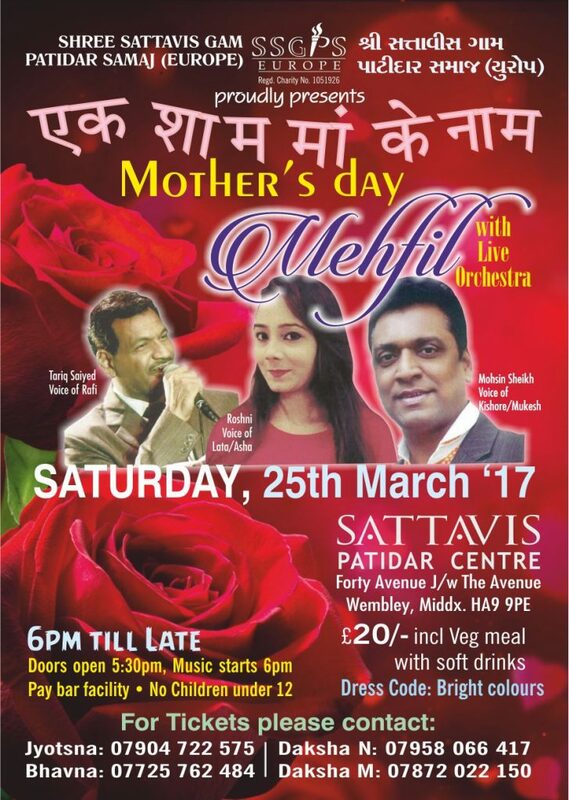 Just to let you all site viewers/visitors to know that Shree Sattavis Gam Patidar Samaj (Europe) has organised a Mehfil Night on Mother’s day on Saturday 25th March 2017 at 6.00pm till late. Please see the attachment poster for details. 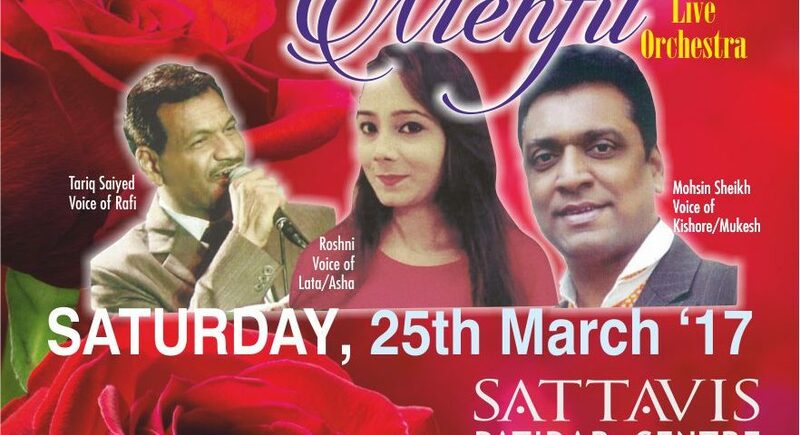 Please do support our Samaj Events organised by the Trust Board and make an effort to attend by at least buying two tickets. Money collected goes towards paying our Samaj Bank Loan and rates. We, the Trust Board kindly request you, the members to support the event.